“Ali Smith, on giving advice to the competitors in the Bridport Prize a while ago said, “I like to see a beginning, middle and end, but not necessarily in that order.” I’m reminded of that sage advice with Soul Masque opening with an epilogue! Like an inside-out matryoshka doll more of the story is told backwards. Normally, I hate back-story tales but it works here with macabre relish. The end at the beginning is cunningly crafted such that the reader begs for the real start to see how the bizarre finale is reached. And that beginning is no disappointment. 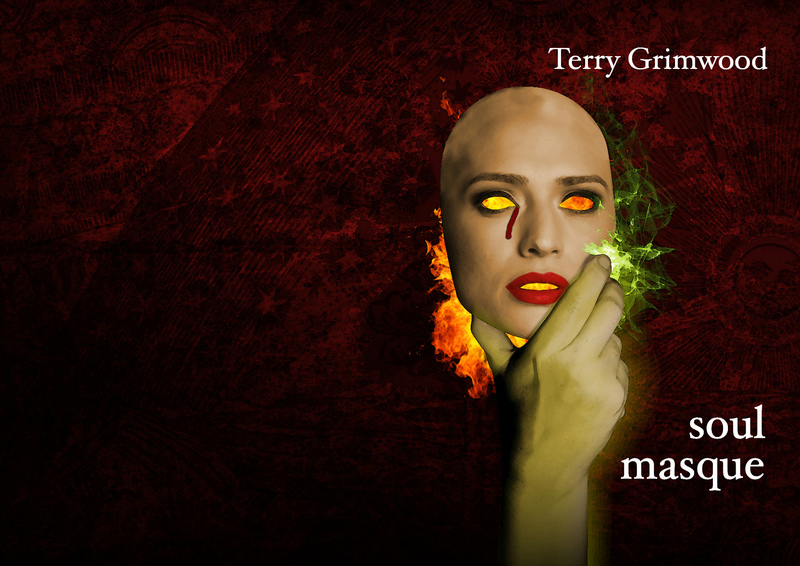 In true Terry Grimwood style, we are lured rapidly by an account of how a sane individual becomes snared in the drug-toting underbelly of society. ‘They took (the morphine) away once his broken bones were healed. 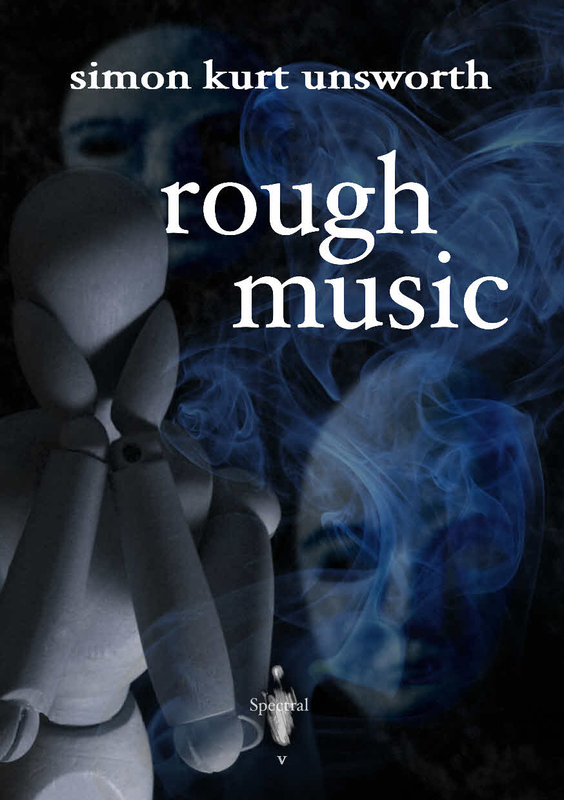 You can confiscate the cure, but you can’t take away the Need…’ so it continues – the hurt that obliges the reader to be drawn into the abyss of another Grimwood noir tale. White spindly creatures the stuff of nightmares. ‘Ichor streaks the windscreen.’ Nasty, compelling. Read on, Nelder. Grim yet a smile with the anagram – ‘Satan’s little helpers’. Unexpectedly among the terror we are grounded by London’s Congestion Charge – ha, and yet not so ha. London isn’t the same any more, especially warehouses. Unnaturally, supernaturally, the ending is a prologue and it makes sense, if you’d not already worked it out. Many thanks to Geoff for this! More soon! Here, in the environs of Spectral Towers at least, spring has deigned to show its sunny, if somewhat chilly, face at last. And, just to add to the feelgood factor, here we have two new reviews to let you know about. 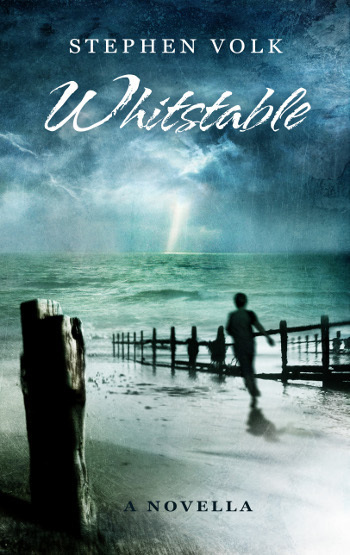 First is Geoff Nelder’s assessment of Stephen Volk’s Whitstable novella, posted to various sites including his own Science42Fiction website – the write-up can be found right here. 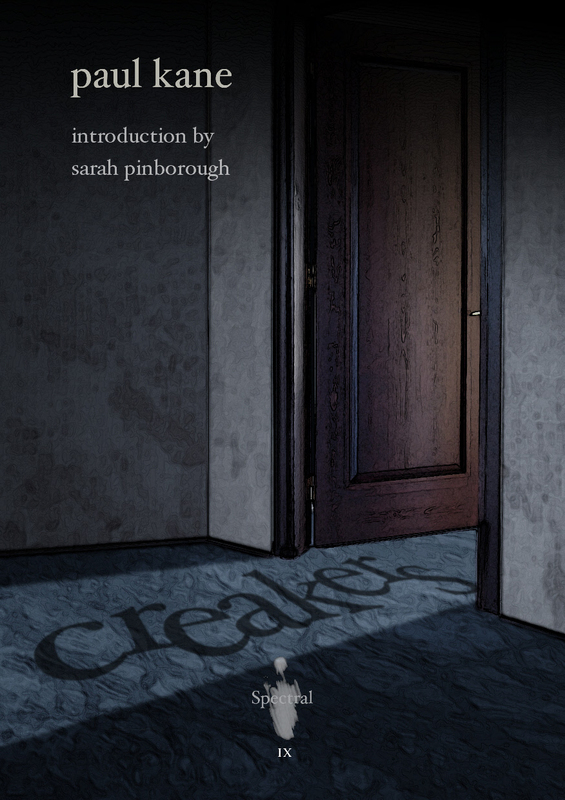 Secondly, we have a review of Paul Kane’s Creakers, the latest in Spectral Press’ quarterly series of chapbooks. This one’s courtesy of the ever-reliable Walt Hicks, and can be seen on his Hellbound Times genre review blog – go here to read what the man said. More news and reviews soon! “You know that graph of world population growth from the birth of Christ to now? It more or less flat-lines for centuries until the last two when it leaps to the top. This story is like that. There are spikes of danger, followed by plateaux where death keeps pace with life, but the last scene is exponentially breathtaking. Mike and his best friend have the usual teen encounters where schoolboy adventures are spiced with running from bullies, and where rain – ‘windows pebbled with water’ – means a diversion from planned activities. Innocent, and yet building. The reader is treated along the way with added nuances such as ‘… browning leaves teeming with small spiders…’ and the sound of trains dot about in the story like a not-so-hidden link. A metaphor perhaps that Mike is no longer in that town of awful discovery leading to fatal distraction. The story only lasts 27 pages but leaves you with a haunting, yet touching, legacy. “I’ve often warned people not to become ill in the Bristol area because I’ve seen what the health workers are like from television’s Holby City and Casualty. However, if said people want a spectacular death then writhing ablaze at the end of a chain dangling from the beautiful Clifton Suspension Bridge would be in their top ten. Of course, if that happened involuntarily then we have an intriguing murder mystery, especially when it is just one of several unusual and yet not historically unique deaths. Once again, I find interactions with my life and the settings in Spectral Press publications. As a teen I used to cycle with pals from my home in Cheltenham to Bristol with the famous suspension bridge and the nearby zoo as our destination. These coincidences are beginning to freak me out… And so we have a hot air balloon murder, and so did I in my thriller, Hot Air. Quite different modus operandi, and mine was over Bath not Bristol, but still too close for comfort. Detective Inspector Jeffrey Longdon and Sergeant Jenny Newham rule the investigation. One effectively rules her patch with a wagging finger and vertical palm of her official hand, while the other is a coffee addict, but at least of good quality beans. It’s rather worrying that the police smile a lot – it’s not what the public expect, even more unnerving here, but then why not laugh in the face of adversity? The zoo’s ‘Captain Clowney’s Creepy Crawly Creature Feature’ and much of the tone in the story is reminiscent of Father Ted (Jack’s Dreamy Sleepy Nightie Snoozy Snooze….) lending humour to the visceral horror, making it even more creepy than the normal nail-biter. Fear of clowns gets an outing. I didn’t have Coulrophobia until now. To have a Point of View character die in grisly torment works well. One can only hope that numbness overcame agony in time. Even the furniture in this story can ‘creak ominously’. 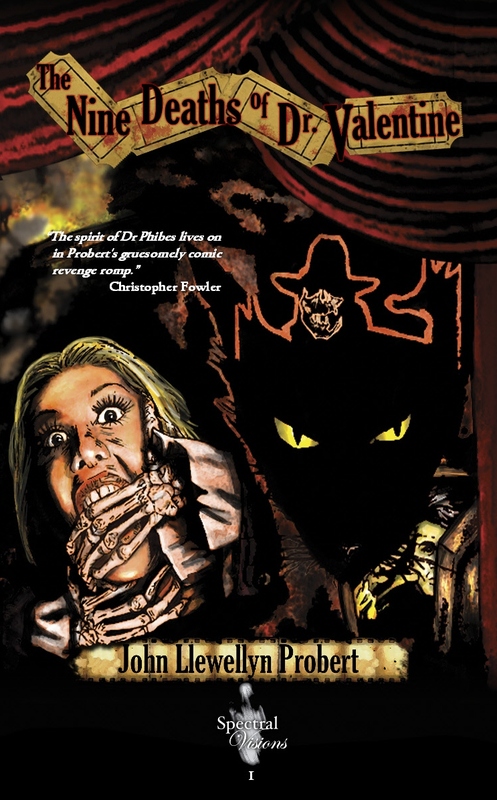 Poe’s Phibes is posthumously unearthed. A classic story, immortalised further in film, is glorified here. Vincent Price would be proud. ‘All our safe houses are full at the moment, sir.’ – classic dry humour. Had me spluttering in my liquid Valium. I would like to think that contemporary police are quicker at solving crimes than Longdon and Newman but I have my suspicions. 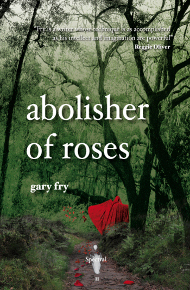 The reviews for Gary Fry’s novella, the debut title in the Spectral Visions line of longer works, continue to trickle in steadily. This latest one is from Geoff Nelder, which he posted to his Science42Fiction blog yesterday – here’s what Mr. Nelder said about the book. PLEASE NOTE: the limited hardback edition of this title will be delivered to us sometime within the next two weeks, after which they will be signed and sent out as soon as possible – many thanks to all those who purchased one for your patience!! More reviews soon – onwards and upwards!! Due to the marvels of modern technology, even though I will be sending Simon Kurt Unsworth’s Spectral chapbook off to the printers this morning, the first reviews have already started to come in. Wonders will never cease, eh? Anyway, the first of these is from Jim McLeod’s Ginger Nuts of Horror blog, wherein he explains that the tale had something of a personal resonance for him – the question is, though, did he like it or loathe it? Find out here. When Cornish’s slumber was disturbed by a one-man-band beating the hell out of what might have been a saucepan with a heavy spoon, he was irritated, annoyed but not unduly concerned. Alas, the unruly incident, both visual and acoustic, incremented the following night. Was someone out to torment the community or him in person? After another night, he suspected the latter and the reader, reading between both the lines and the sheets is able to suspect why. This tale is more cunning than it first appears, and the resolution of the conflict(s) is sufficiently intriguing for the reader to determine whether the rough music is real or … something else. The chapbook will be sent to subscribers and individual purchasers starting at the end of this month. 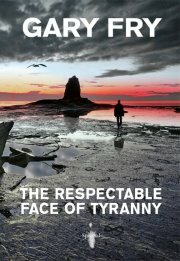 Meanwhile, Gary Fry’s novella The Respectable Face of Tyranny is, gratifyingly, selling very steadily – in fact two-thirds of the limited edition hardback print run have already been accounted for. If you wish to get your hands on one of these lovely little volumes, featuring full-colour covers (a Neil Williams effort, based on a photograph of Saltwick Bay by Philip Haigh), coloured endpapers and a silk ribbon bookmarker, then I suggest you hop over to here and order one now – they’re sure to do one of Spectral’s patented vanishing tricks very soon! More news and reviews soon!! 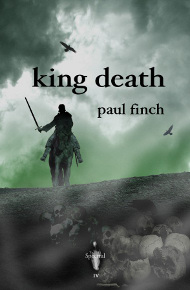 And so they’re beginning to trickle in, the write-ups on the latest Spectral chapbook, King Death, brought to you by the incomparable Paul Finch. The first one is from Walt Hicks, who has written reviews of previous issues for the Page Horrific webzine, and has posted this one to his new blog Hellbound Times. You can read what he had to say about the exploits of Rodric, the main protagonist in the story, here. “Rodric cannot believe his luck during the medieval black plague. He was immune, unlike virtually everyone in the area he wandered – between Cannock Chase and the Welsh border. So he looted with impunity though he theatrically dressed in black armour just in case he met resistance. Of course England wouldn’t be the green and pleasant land in the song, and award-winning author, Paul Finch, steeps us in the stench of rotting bodies, and plays with the retaking of the environment by Nature. To keep us engrossed in the medieval experience we are treated to a wonderful lexicon of the ages: Jongleur, rambraces, rerebraces, miniver, bascinet, seneschal, sokemen, and my favourite – ouches of gold. To save you reaching for Dictionary.com there is a glossary bringing up the rear though the context is usually enough to keep you going. Rodric meets a young unnamed lad with the result of more potential riches and yet an undoing. The former servant takes Rodric to his castle and its subjugation from the terrifying plague is described with splendid detail. Thanks to both Walt and Geoff for sending me the reviews! Onwards and upwards! Good morning, on this extremely fine September 1st 2011! A regular walk of mine takes me past a riverside building in Chester. The house is called Nowhere. Local men would drink at this secret tavern and when questioned at home they’d be able to say they’ve been nowhere. Nowhere Man was allegedly composed by John Lennon after a visit to Nowhere during a gig in 1963. 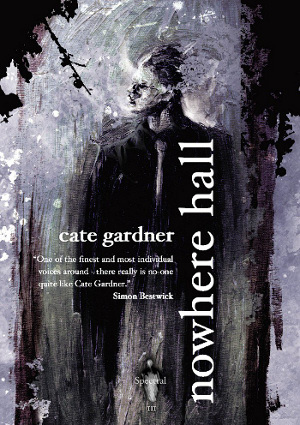 I couldn’t help but dwell on that enigmatic building when reading Cate Gardner’s tale. I do her an injustice. Her story is far more than an interesting narrative: it is tumbling umbrellas that have meaning – indeed their ‘open-shut dry-wet of them’, cascading an accumulation of fear along with chandeliers, sedimentary layers of dust and a stomach-churning feeling the walls have ears, mouths, sticky fingers and a yearning to do harm. Nowhere Hall will affect you. If there are ghosts in such a house, I know it would be like this. (Blogger’s note: when I lived in Plymouth, my local was called The Nowhere Inn – there are connections everywhere…. – Simon)…. … is from Geoff Nelder’s science42fiction blog and is yet another positive one, further consolidating Spectral Press as an imprint to watch…. don’t miss out on this brilliant tale, available from May 9th, but which can be pre-ordered for £3.50UK/£4.50EU/$8US/$12RoW… go here to order via Paypal or contact Simon Marshall-Jones at spectralpress[at]gmail[dot]com.